Palo Alto Networks has opened an Asia-Pacific (APAC) headquarters in Singapore, joining a growing list of cyber security companies with regional facilities in the city-state. Located in Singapore’s central business district, the regional headquarters will enable Palo Alto Networks to expand its sales and customer support for organisations in APAC, a hotbed for cyber attacks in 2016. The 35,000 ft2 facility – more than double the size of its previous Singapore office – will also house Palo Alto Networks’ security experts, including systems engineers and security analysts from Unit 42, the company’s threat intelligence team that provides customers with insights on the latest cyber threats. Simon Green, senior vice-president for Palo Alto Networks in APAC, said with the company’s growing customer base and greater demand for cyber security systems, the headquarters will strengthen its services and footprint in the region. At a launch event on 22 March 2017, Singapore’s minister in charge of cyber security Yaacob Ibrahim noted that Palo Alto Networks will boost Singapore’s growing cyber security ecosystem, which is being bolstered by government’s efforts to improve cyber security standards across industries. 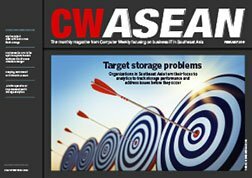 “We had set up the Cyber Security Agency [CSA] in 2015 and worked with partners as part of Singapore’s Cybersecurity Strategy to enhance the resilience of our digital infrastructure, develop a vibrant cyber security ecosystem, and build a pipeline of skilled cyber security professionals,” he said. Yaacob added that Palo Alto Networks, which developed a cyber security guide for Singapore enterprises, has also contributed considerably to Singapore’s talent pool by offering “internships to tertiary students to hone their skills with experts and cut their teeth on the latest technologies”. Find out what security initiatives IT decision makers are planning in 2017. Cyber security has enabled Asia-Pacific organisations to enter new markets and deliver services in new ways. Singapore’s Nanyang Technological University will use the Veris Community Database in a research project to enable more accurate cyber risk assessment. Earlier in March 2017, Palo Alto Networks and a handful of cyber security companies launched lab facilities at Singapore’s Republic Polytechnic to develop projects and academic modules for students in a bid to groom a new generation of cyber security talent. Besides Palo Alto Networks, other cyber security firms with regional headquarters in Singapore include Ixia, which is being acquired by Keysight Technologies, a supplier of equipment and software for the electronics industry. Ixia’s APAC managing director Naveen Bhat said its APAC headquarters enables the company to better support its customers in the region. Among other offerings, Ixia supplies products that provide visibility into physical, virtual and software-defined networks. According to a global survey involving more than 220 senior IT staff at enterprises, Ixia found that having visibility into what is going with their IT infrastructure is key to discovering security breaches. More than half of the survey respondents said they most often discover a security breach through their network visibility system, followed by forensics and contact by third parties. With greater use of encryption tools to protect sensitive data, 56% of respondents would like to have visibility into encrypted traffic, while 31% and 29% wanted visibility into public clouds and private cloud environments, respectively. Despite repeated assurances from cloud service providers that the cloud can be more secure than their own datacentres, security remains a concern among respondents who took part in Ixia’s survey. More than three-quarters of respondents were “very concerned” or “concerned” about security in their cloud environment. These concerns include the loss of control over network data and achieving full visibility across networks. “You can’t protect what you can’t see,” Bhat said, adding that Ixia’s systems will enable enterprises to fully realise their investments in their existing security and monitoring tools. According to TechTarget’s 2017 IT priority study on trends in IT security in APAC, 21% of respondents cited security data management as one of the security areas that they are looking to implement. The top areas are network-based security (30%), data loss prevention and user training (28%) and endpoint security (27%).